The Willmore Wilderness Foundation’s Spirit House Project takes place in Willmore Wilderness Park, into areas that are only accessible by horseback. 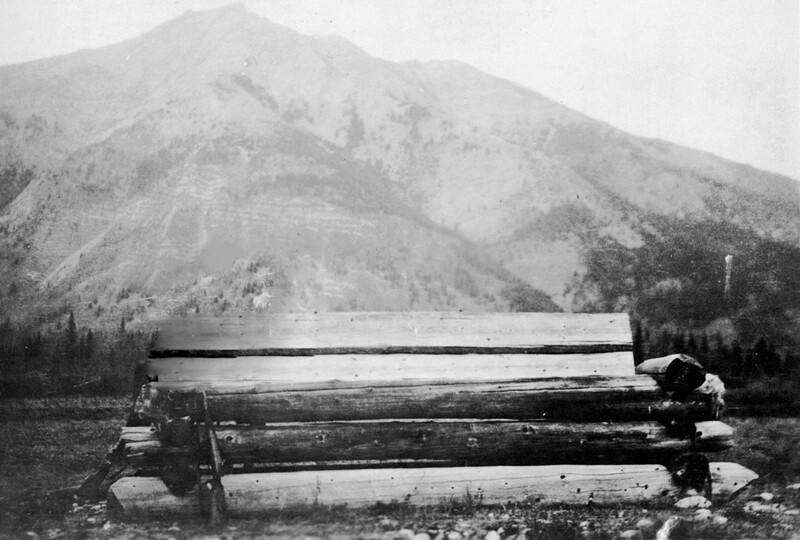 The graves of those that travelled the Rockies are left in remote locations. The graves we found have been those of every culture. Building these Spirit Houses on the sites of the remains help mark and preserve historical gravesites within the Park. This is a project where Elder Tom Wanyandie guides young people in the traditions and culture of the Canadian Rockies. The youth involved in the project will gain a wealth of knowledge about the history of the area and their ancestors. Youth will have hands on experience building Spirit Houses. Youth will have hands on experience learning historic horseback culture skills that will include basic horsemanship training, saddling, packing skills and more. Youth will have hands on experience clearing trail, replacing woodpiles and clearing garbage. The youth will learn the lay of the land, the trail networks and the locations of the graves. Youth will learn the history of the Rocky Mountains to ensure that the historic traditions are passed on for future generations. Youth help build Spirit Houses that will remain in Willmore Wilderness Park. Youth will learn their traditions, which can be carried on and shared with future generations. This project will be photographed and shared on social media, so that others can learn from the activities. Youth will gain valuable experiential hands-on training that will allow them to learn the same skills and traditions that their ancestors used. Graves will be GPS’d and archived for future reference. 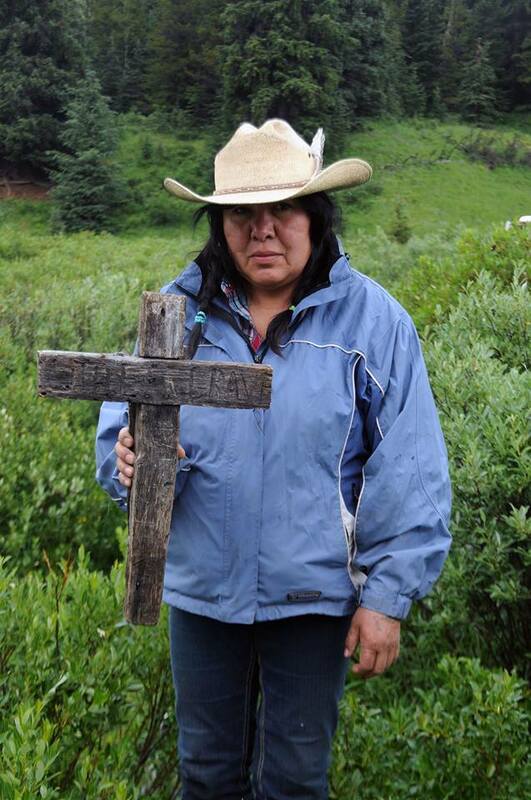 Emily Wanyandie holding a cross that was erected on Baby Delorme’s grave site. The cross was placed at Little Grave Flats, circa 1900.